It is one thing to talk about being filled with the Spirit; it is quite another to live under the Spirit's control and direction in our life. Paul is reminding us that we must do more than talk the talk; we must walk the walk. The Holy Spirit must guide our decisions, determine our morality, and control our speech. His fruit — love, joy, peace, patience, kindness, goodness, gentleness, faithfulness, and self-control — must be in evidence. Paul says to Christians filled with the Spirit, "Live like it!" Holy God, thank you for your gift of your Spirit, who is alive in me. 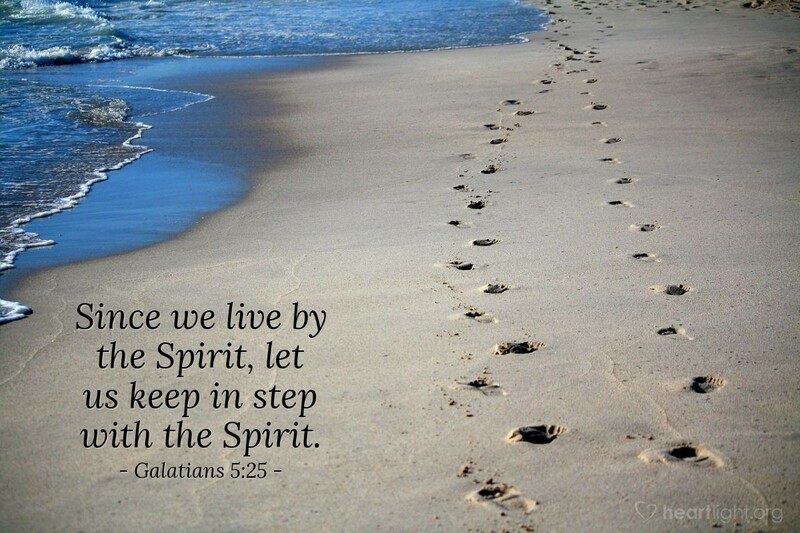 May your Spirit guide my thoughts and mold me to be like Jesus in words and deeds. In Jesus' name I pray. Amen.